We met with Baker at a restaurant in Marylebone. As he poured the first glass, a 2008 Grande Champagne, a mere baby compared with what we would try later, the air filled with a heavenly scent of fruit and wood. But before we tasted, David told us a little about the region and how Hermitage fits in with the grand scheme of things. Finding these vintage Cognacs is not an easy business. Baker’s experience and reputation help him sniff out the rare barrels, and he’s reluctant to reveal his sources. He did tell me about one producer who usually only sells to Rémy Martin but keeps a little of the best stuff back for the family. Persuading a producer such as this to sell his rarest brandies is a little like asking someone to part with precious heirlooms. He knows that the family treasures will be in safe hands with Baker. Grande Champagne Cognacs age very slowly, he remarked. “That allows them to stay in the barrel longer and… develop what we call ‘rancio effect’ which is a sort of enriched maderisation if you like – if you can imagine a madeira wine, that sort of pineapple, musty flavour you get.”. Rancio is a Portuguese word that comes from the fortified wine business that means literally ‘rancid’. Mmm, rancid. Hermitage is based in Bath and Segonzac, which, according to Baker, is “the very centre of Grande Champagne”. The office there handles bottling operations. All Hermitage Cognacs are aged in France and 99% are bottled there. Baker does not use sugar or caramel but very occasionally adds a little boisé, “wood chips that are boiled many times and aged in Cognac. We use very old boisé, often 30 or 40 years old, to help develop the original flavour of the Cognac”, he explained. He also adds distilled water to “balance” his Cognacs by bringing down the alcohol. It won a gold medal at IWSC this year. There’s the all-important pineapple rancio note on the nose and then rum-like flavours of brown sugar and molasses. The palate in contrast is relatively lean and fresh with pungent peppery spice. Very long with aromatic notes of cedar and tobacco. This is from the distiller mentioned above that sells to Rémy Martin but keeps its best stuff for the family. According to Baker, it’s nearer 50 years old. It’s got a very savoury nose with walnuts, woody notes and tobacco; so aromatic. On the palate there’s a citrus note (very Grande Champagne, apparently), with pineapple. The feel in the mouth is creamy, textured, nutty and very, very long. From the same distiller as above. 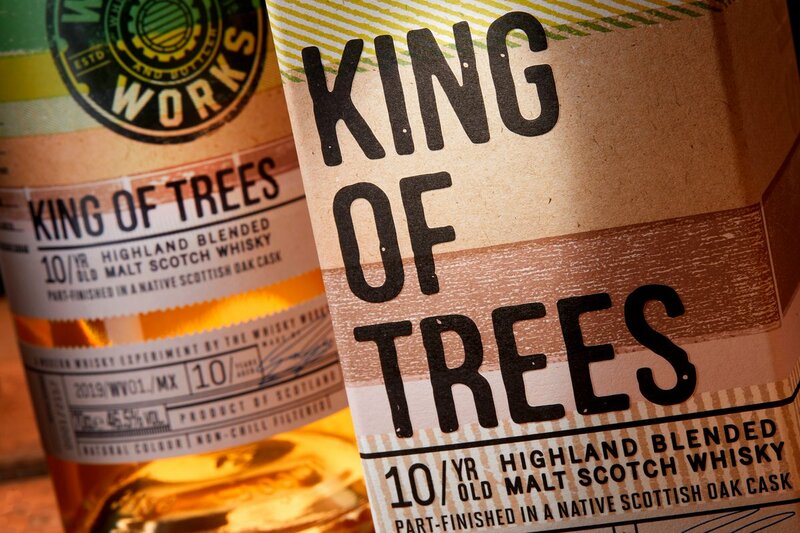 Rich nose, toffee, walnuts, and ginger, then so fresh in the mouth. Initially it’s grassy, and then explodes with tropical fruit, rather like a New Zealand Sauvignon Blanc. Incredibly complex, harmonious and long. It comes in a crystal decanter and won a top prize at this year’s Spirits Masters Awards.